When the Lexus project was launched way back in 1983, what they had in mind was something that could match, at least, the Mercedes S-class. Numerous Mercedes cars, it is said, were taken apart painstakingly and examined in the minutest detail by the engineers and designers. What emerged at the end of that process was a remarkably comfortable and dependable car – a friend of mine still revels in his 1990 Lexus LS – but, to be honest, it looked a bit like a slab. And not even a very distinctive slab, at that. In time, Lexus developed a reputation of innovation, reliability and, I’m afraid, a kind of dullness and a general remoteness from the driving environment. It didn’t bother the well-heeled, middle-aged men who bought them, of course. 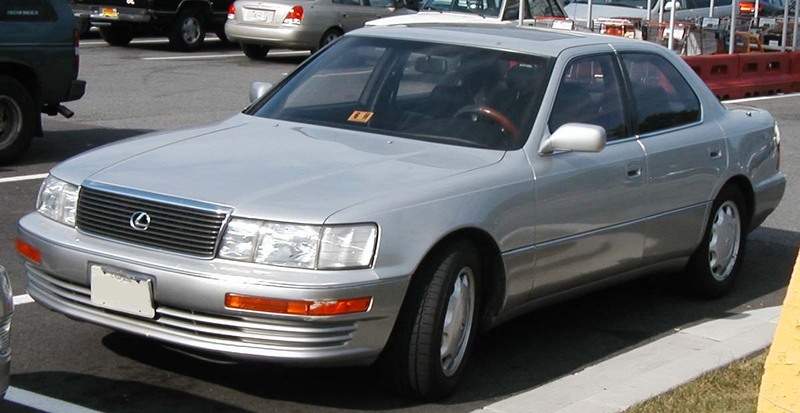 The well-meaning Lexus LS, in whatever colour it came (and there was a particularly unattractive metallic bronze, I seem to remember) was as grey as they were. Well, that situation did not obtain for long. Lexus, right across the model range, has developed a distinctive look of its own and, more recently, a rather unexpected reputation for excitement. And now that reputation is even better deserved, something very effectively embodied in the car I’ve been driving for the past week: the Lexus GSh F-Sport which, far from blending anonymously into the background has real presence, a very low front end and a touch of futuristic aggression if you happen to glimpse it in your rear-view mirror. It looks fast and it is fast. It’s not often I get to drive a car that can move from zero to 60 mph (please forgive the Imperial measure there, but it’s the way I still think) in 5.6 seconds. The last the time I drove anything in the same performance league, it was the Range Rover Autobiography Supercharged 5.0 litre which needs all of its staggering 505bhp to achieve 5.9 seconds. The Lexus, by contrast, makes do with 338bhp and even when driven in Eco-mode you realise that there’s a very considerable reserve of power within close reach. The whole Eco thing is significant, of course. This is a very fast car that is also a hybrid. If this puts you in mind of the Prius (surely one of the smuggest cars on the planet), you could not be more wrong. The same principle applies, to be sure, viz. you have a mega-battery which stores energy generated during braking and coasting; this then assists the 3.6 litre petrol engine when accelerating, reducing fuel consumption. 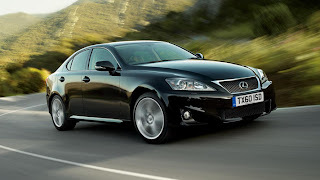 Like a lot of contemporary cars, the petrol engine switches off when stationery which means that you start off again, in the Lexus, in complete silence – which can be a little unsettling at first. You choose from four settings: normal, Eco-mode, Sport and Sport+. In normal, I found the experience much the same as driving a comfortable, expensive, powerful car. In Eco-mode, it was much the same and the pleasing growl from the exhaust on hard acceleration was reassuringly still there. With these settings you get a dial which sets out, graphically, what is going on with the – let’s call it the motive force of the car. Flip into Sport or Sport+ and the instrument panel flips over to present you with a rev counter, and a change of back-lighting from calm blue to raging red. In this state, you can use the discreet paddles on either side of the wheel to flick through the gears, the rev counter swinging all over the place as you do so. This, I should warn, can be quite addictive but is not a good recipe for a calm commute. Eco is fine for that, and much more appropriate. Road-holding in Sport or Sport+ mode is, by my modest standards, exceptional. The rear wheels steer up to 15% in the same direction as the front ones, which explains a lot. At speeds less than 50 mph, they steer in the opposite direction which makes the car feel more light-footed than its size would have you expect. So, you get more than just adaptive variable suspension – you get this too: Lexus Dynamic Handling. On the practical issues, well it’s got everything you would expect, from rain and light sensors to front seats that remember up to three pre-set positions. Turn off the ignition and the driver’s seat slides back to make it easier to get out and in. There is a huge display for satnav and the other gizmos which are controlled from a mouse-like button beside the automatic shift. Air-conditioned seats were, unusually, rather nice to have in the recent heatwave. My children enjoyed the leg room in the back, even on my side. And I’m over six feet when I sit up straight. As far as fuel consumption goes, it’s not bad, given the performance. Overall, I managed something approaching in the mid-30s in terms of mpg, about 8.5 l/100km. But bear in mind that I was putting the Lexus 450GSh through its paces and there was minimal town driving. That’s very little fuel for so much fun and so much comfort. So, this car has a great deal going for it: solidity, refinement, comfort, lovely performance which you can adjust to mood and circumstances, and fuel economy which, if not quite planet-saving, is a lot better than we would normally associate with all of those other qualities. The nice people at Lexus Ireland, not wanting to scare me with the price of what I was about to drive off, told me that the car, as tested, “is around €80,000”. I bet Mercedes have bought one. Times change. This is a good information about Car accessories Store’s.